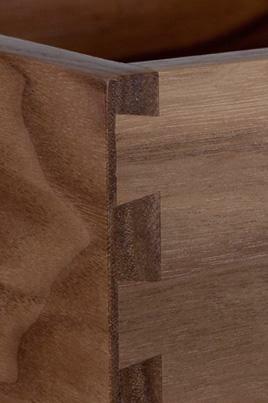 Classic Bespoke solid walnut dovetail drawers are made using carefully selected solid timber. Walnut timber is our most premium product and is often chosen for kitchen and furniture projects, providing a stylish timeless look. 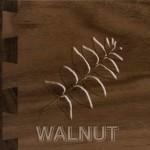 Walnut hardwood is a rich dark timber that’s tough, with a medium density. Classic Bespoke dovetail drawers are made to your exact specification. 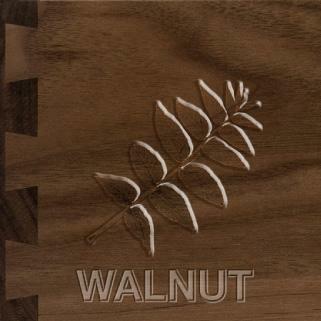 Walnut dovetail drawers compliment both modern and traditional style kitchens or furniture. The drawers are carefully made, combining the precision of specialist cutting and dovetail equipment with highly skilled craftsman to produce the immaculate result required for our clients. High quality water resistant adhesive is applied to all joints for maximum strength, the drawers are supplied fully assembled and can be prepared to accept runners. 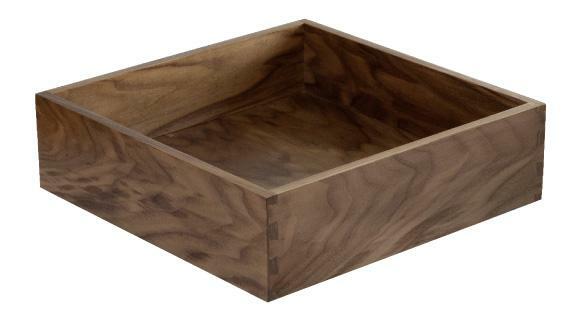 The drawer boxes have a 10% clear lacquer for long lasting durability. Probox have stringent quality control procedures in place to ensure you receive the drawer boxes in immaculate condition. Probox are happy to accommodate specific details for our customers. Delivered ready for immediate installation. 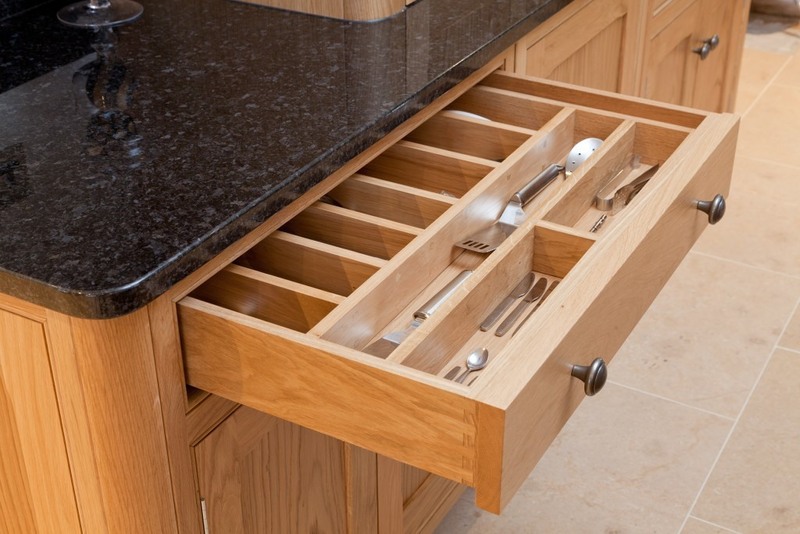 Fully bespoke drawers made to your specification, choice of timber and special features like handle cut-outs, shaped sides, cutlery inserts, stepped tops etc. Bases are 10mm veneered MDF grooved into front, back and sides. Sourced from sustainable forests using continuous-stave edge-glued board for stability. Beautifully finished with a high quality, hard wearing lacquer. Glued with a premium water resistant PVA adhesive for maximum strength. Flush tops are standard on Classic Bespoke drawers but stepped tops can be specified as a special feature. Beech, Oak, Maple and Walnut and Birch ply. Please ask us about other timbers. 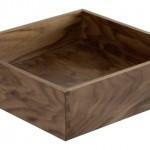 Bespoke inserts and trays for cutlery or utensils are available in a range of common configurations to suit the drawer size specified. Inserts and trays can also be created to any custom specification and lined.